Generally used when a delicate approach is required in a slow to moderate flow. A favored method by many match anglers when float fishing on rivers. Light lines and small hooks can be presented very effectively with the stick float. There are a number of variations, however the basic principles of design apply to all. The thicker part of the float is at the top and a much thinner and tapered section at the bottom. The main body of the stick float tends to be made of a very buoyant material like balsa and the stem tends to be of a much denser material, quite often wire or a dense wood like lignum. This helps to balance the float quite nicely and results in a float needing very little shot. The shotting pattern tends to be ‘shirt button’ style i.e. shot evenly spaced from the float to the hook. The top weight is the largest and gradually become smaller and smaller as you progress toward the hook. The stick float can be held back quite hard to slow the progress of the tackle down the flow. You can literally inch the bait through the swim with an overdepth setup. The main body of the stick float helps to achieve this style of presentation. Stick floats are generally fished at fairly short distances due to their weight and design. A float designed to be used on much faster flowing and turbulent water. They have a bulbous body made with a highly buoyant material. These make them extremely stable and a highly effective tool for fishing in areas such as weirpools. The shotting requirement tends to be heavy, which is to be expected in heavy flow conditions. The shot itself is fished in bulk down near the hook. A group of shot are arranged in a neat line 12 – 18 inches from the hook itself. This helps to keep the bait down near the bottom in the fast water. The Avon is a float that can also be held back in a similar fashion to the stick float. The float is attached to the mainline with float rubbers, as virtually all river floats are, with the exception of wagglers, which are covered later. When attaching the float it is best to use 3 float rubbers. If one should split you can then utilize the third, which is already threaded on the line, rather than tackle up again. A float in a similar vein to the Avon. Designed for deeper water but with a pacey, steady flow. It has a tapered body as shown in the diagram. Again it is a float fixed with rubbers similar to both the stick and Avon floats. Fished with bulk shot approximately 12-18 inches from the hook, with a smaller dropper shot around 2-4 inches from the hook itself. A very stable float suited to winter trotting that can be held back in the same style as both the Avon and Stick floats. A heavy, bulky float designed to fish in fast water. They are thick, stubby floats which can take upwards of 5 SSG shot to set. They have a thick tip which is easily visible even at a range of up to 50 yards, which make them an ideal float for long trotting. You will need a visible float for fishing at such distances, sometimes in poor light conditions and these are perfect for this style of fishing. They are extremely buoyant and again fished with the bulk of the shot fixed approximately 12 – 18 inches from the hook. A smaller dropper shot is fished 2 – 4 inches from the hook itself to help keep the bait down in the heavy flow. The float is fixed top and bottom with float rubbers. As with the previous floats mentioned, the chubber can be held back in the winter months to slow the hookbait down. This also allows the bait to flutter upwards in the current, often enticing a fish to take the bait. 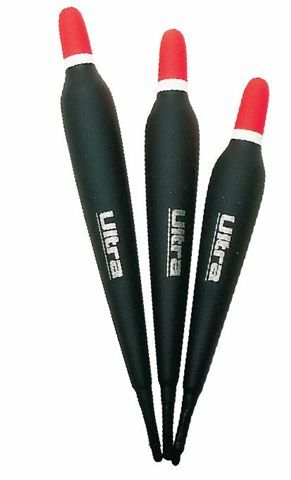 A float synonymous with stillwater fishing, however it is a very useful tool when used in the right conditions for the river angler. 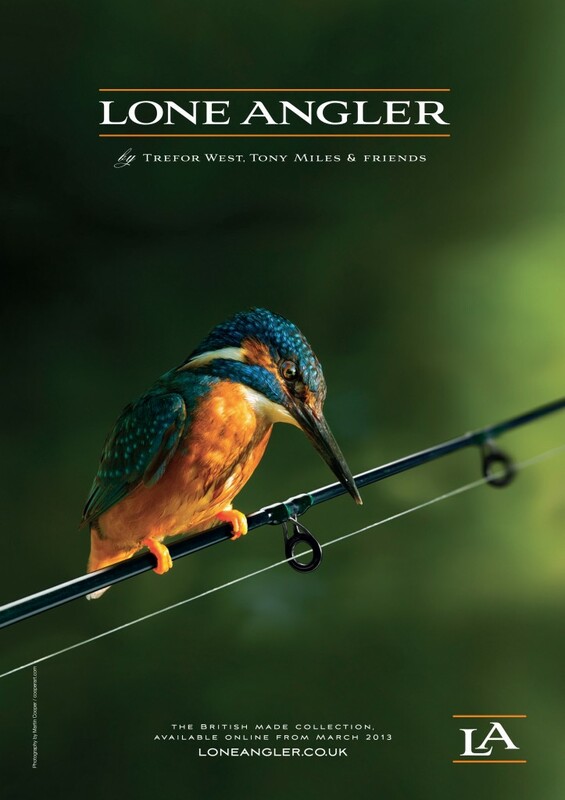 Used in slow moving water the waggler can be cast much further than the more traditional river floats outlined above. Unlike other floats, the waggler can be cast overhead and is fixed to the line via an eye on the bottom of the float. Fixed in place with shot, it can be fished with small groups of shot down the line culminating in a small dropper shot a few inches from the hook. It also has the benefit of being far more controllable in windy conditions, as the line can be sunk below the surface, thus avoiding drift from the wind. This is the only float where the line must not be mended. You will have to allow the line to bow to a certain extent, otherwise you will not only drag the float off-line but also sink it. It is important when fishing any float in flowing water to keep the line behind the float as it travels downstream. This is simply a case of flicking the line straight and keeping a reasonably tight line between rod tip and float. If you don’t do this, the line will snake downstream dragging your float off it’s natural course. This is a very unnatural presentation and results in very few bites, if any. With very little practice, you will find yourself ‘mending’ the line in this fashion without giving it a second thought. Have read all the info, which was very helpful. However nobody ever mentions using a sliding float fixed top & bottom on fast deep flowing waters like the river Dee.